Invasion of Astro Monster (1965) – SKREEONK! What happens when Earth is robbed of its mightiest protectors? Known as “Godzilla vs The Astro-Monster” or simply “Astro Monster”, Toho’s sixth film in their Godzilla franchise was released originally in Japan as Invasion of Astro-Monster (or Great Monster War 怪獣大戦争 Kaijū Daisensō). This film is a direct sequel to Ghidorah, The Three Headed Monster. Invasion of the Astro Monster: I like this film. I like Nick Adams. This film makes me happy. That’s all you need to know. Oh, you want more in-depth analysis? Fine, I guess that’s what I’m being here to do, after all. First, the plot. This is the first time we’ve seen aliens in the flesh in the Godzilla series, and they are sporting some beautiful vinyl outfits. Top-notch designer sense there. 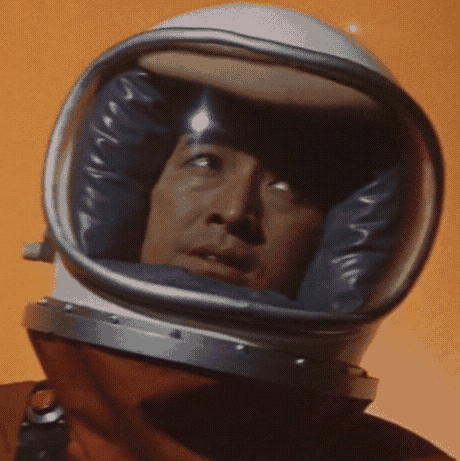 The astronauts Fuji and Glenn investigate the mysterious planet orbiting just behind Jupiter (it’s close enough to be a moon, really, but Moon X doesn’t have that same menace). There, our heroes encounter a race of aliens who are seemingly confined to their underground complexes by none other than Monster Zero, aka King Ghidorah. So, a bargain is struck, and the earthlings agree to let the Xiliens ‘borrow’ the two kaiju, Rodan and Godzilla (screw Mothra). The monsters duke it out in one of the only space battles in Godzilla history, other than a cringeworthy moment in Godzilla vs. Spacegodzilla. King Ghidorah flees, and the humans leave the victors on Planet X.
That’s the kicker though. Now, the aliens have all they need for an invasion of Earth! The world falls into chaos as Ghidorah, Godzilla, and Rodan terrorize mankind. Glenn and the gang discovery the aliens’ weakness, thanks to Glenn’s Xilien lover, Miss Namikawa. The military quickly devises a weapon that would interfere with the Xiliens’ control over the monsters. Simultaneously, they use the ear-splitting sounds of Tetsuo Teri’s “children’s toy” to stun and cause the aliens to commit suicide, or something along those lines. With the aliens turned to dust, Godzilla and Rodan do what they best, giving Ghidorah another solid fight on their home turf. The three-headed fiend is sent packing, and humanity is safe once more. I think what’s so fantastically fun about this movie is the amount of character interaction there is. Take, for instance, Glenn’s relationship with Namikawa. It’s one of the few times in Godzilla where there is a legitimate love story, though it isn’t the sole focus of the movie. The twist when Glenn and Fuji stumble onto the other ‘Namikawa’s is well-executed, and i like that we see its repercussion later in the movie. Moving onto the other characters, we have Fuji, who isn’t too remarkable, since nearly every scene he is accompanied by Glenn. Tetsuo Teri, played by my favorite Japanese actor, Akira Kubo, does a good job of pulling off the nerdy persona. That toy he makes though…I mentioned it already, but what in the name of Godzilla compelled him to make that thing? Did an exposition fairy come down from movie heaven and tell him he should make it because it might just save his skin, and mankind’s for that matter? I want to know. Anyway, the Xiliens are menacing, in that weird enigmatic way. It’s hard to tell what they’re thinking behind those strange glasses and emotionless faces. Their plan is diabolical and crafty, something that most future races did not manage to achieve. Too bad they had a turncoat human-lover on their side. The score is typical Ifukube. There’s a new main theme, along with your favorite ditties from previous movies he wrote music for. It fit better than if someone like Sato tackled the position, because it matched the film’s serious tone. Sure, it doesn’t match the original’s darkness nor Mothra vs. Godzilla’s, but it’s one of the darker installments we’d see for the next decade. The special effects are wishy washy. The inconsistencies in King Ghidorah’s Gravity Bolt strength bugs me, because it varies from flattening whole buildings to only scraping off the edges between shots. I know the stock footage lifted from Ghidrah, the Three-Headed Monster captures a high-budget destruction scene, but the difference is glaringly bad. Godzilla continues his descent into the 70’s hero we all know and either love or hate. He chucks rocks around, does some goofy dance after defeating Ghidorah on Planet X, and moves around more like a human than before. Fortunately, we’re still grounded in the 60’s, though I feel take-off coming real soon. Invasion of the Astro Monster is memorable for Nick Adams’ performance, the Xiliens, the Godzilla dance, and the second monster brawl featuring Ghidorah. There’s a lot to like about this movie, and it stands as one of the better entries in the series. I highly recommend getting this film on the newer Classic Media release so you can catch the Japanese version too. I give this movie four “children’s toys” out of five. Astro-Monster is a remarkable film but it’s also the kind of film one must go in and know what to expect. My initial viewing of Astro-Monster as a child was incredibly disappointing – it was a boring film with very little kaiju action until the end, and the only true highlight monster-wise is so early in the film it feels like build-up for something big that never comes. But going in with an open mind and much more heed for the human plot, headed by Akira Takarada, Nick Adams, Kumi Mizuno and Yoshio Tsuchiya, the film truly excels at what it is intended to do. This is a Godzilla film where you shouldn’t turn off your mind – one where you need to really think. 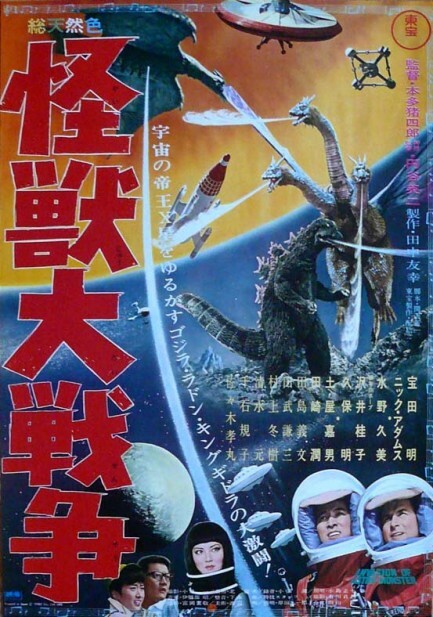 The plotline, besides some major astronomic impossibilities and a major “how convenient!” moment, is pretty plausible: a group of aliens from another planet, lead by their mysterious Controller (Yoshio Tsuchiya) meet with human astronauts and offer a miracle cure for Earth in exchange for Godzilla and Rodan in hopes of fighting off the terrorizing King Ghidorah (Wonder what Mothra’s up to…) – but when the aliens turn on the humans and release all three monsters, it’s up to the heroic astronauts Fuji (Takarada) and Glenn (Adams) to save the day and defeat them, with help from an alien woman (Kumi Mizuno). In the first portions of the film we see King Ghidorah frequently, and get to see a rather fun special effects battle between him, Godzilla and Rodan. This scene is ultimately the big monster highlight, but sadly is disappointing as it is close to the beginning and results in one wanting to see it topped in the finale. The finale is simply a short battle that does little to top it’s predecessor. Godzilla and Rodan’s roles feel more like cameos than full roles – Rodan could easily be swapped with another ally like Anguirus or Mothra. The film suffers from mild pacing issues already, but the monster scenes are so split it feels like a much bigger issue. 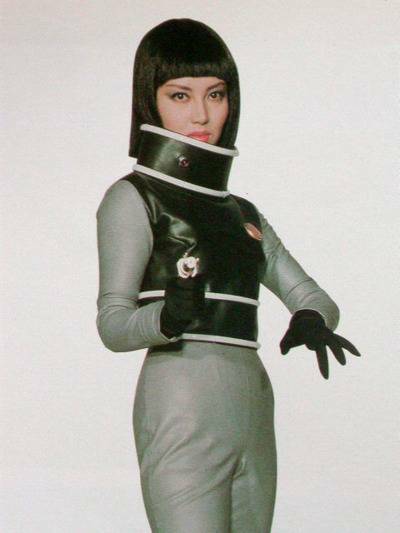 The film excels with the cold, logical mystique of the Xiliens, the complex but interesting romantic element, the amazing effects just for Planet X, excellent acting for virtually every character, and some destruction scenes unmatched in the Showa era. The human characters are excellent, with real characterization and development, and Glenn and Fuji’s comradery works great for the film, with Adams and Takarada bouncing off each other nicely. The effects to pull off the surface of Planet X are also some of Toho’s best set work in this reviewer’s opinion. As for flaws? Planet X is astronomically implausible. Planet X has been undetected for years, despite being in the path between Jupiter and Mars, where countless asteroids and dwarf planets have been known for well over a century. In addition, despite being a barren wasteland, the giant monsters can survive on Planet X. There’s also mild pacing issues, and the Xiliens’ weakness is often considered a “very convenient” moment. Some fans also claim the Xilien’s plan doesn’t work, but one must point out the film probably wouldn’t have worked without it. Posted on September 3, 2011 2 By Jon D. B.	Kaiju Movie Reviews! Posted in Kaiju Movie Reviews!, Toho Movie Reviews! cover corporation could easily have afforded – he’d have never investigated them, or discovered their weakness. In world conquest, it never pays to be cheap. Next Post Collector’s Update: DEMEKING Hyper Hobby Exclusive!